A BOY aged 12 was among five people killed after a stolen car crashed into a tree in Leeds last night. Police said two 15-year-old boys also died along with two men aged 24 and 28. West Yorkshire Police have confirmed a stolen Renault Clio collided with a tree. Two 15-year-old boys were arrested and are currently in police custody. A West Yorkshire Police spokesman said family of all the deceased have been informed. The spokesman added: "The road remains closed and West Yorkshire Police major collision enquiry team are conducting an investigation into the exact cause of the collision." 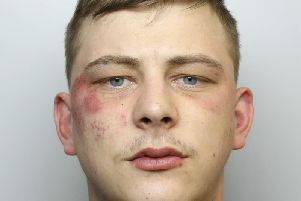 Call West Yorkshire Police with information on 101.